Busy with holiday party prep and not enough time to make dessert the day of the party? 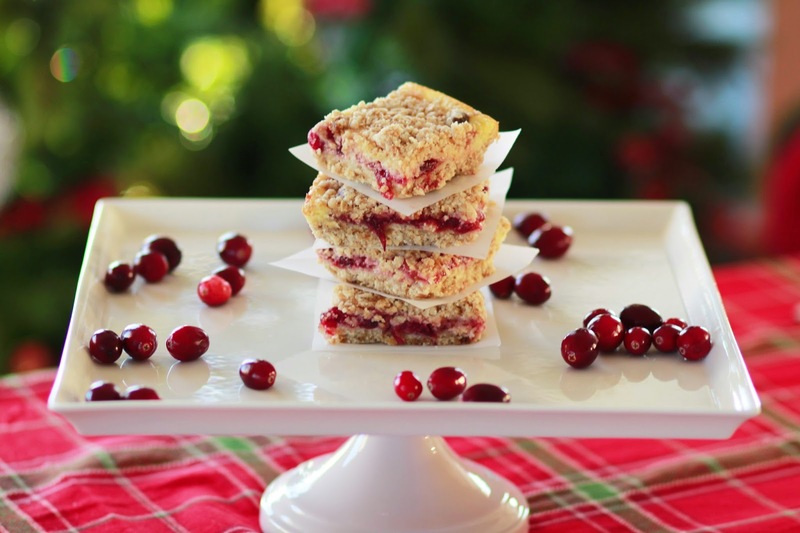 Try these delicious bars that can be made ahead of time! If you are not a fan of cranberries, substitute the cranberry filling for the fruit of your choice, chocolate or caramel. Preheat oven to 350 degrees. Spray a 13x9-inch baking dish with non-stick cooking spray or line with parchment paper. In a large bowl, stir together the flour, oatmeal, and brown sugar. Add the softened butter to the mixing bowl and mix until the mixture resembles coarse crumbs. Measure out 1 ½ cups of the crumb mixture and set aside in a separate bowl. Pour the remaining crumbs into the prepared baking dish and press evenly into the bottom of the dish. Bake for 15 minutes. While the crust is baking, cream the softened cream cheese and sugar together on medium speed until light and fluffy. Add eggs, lemon juice and vanilla extract and mix well. 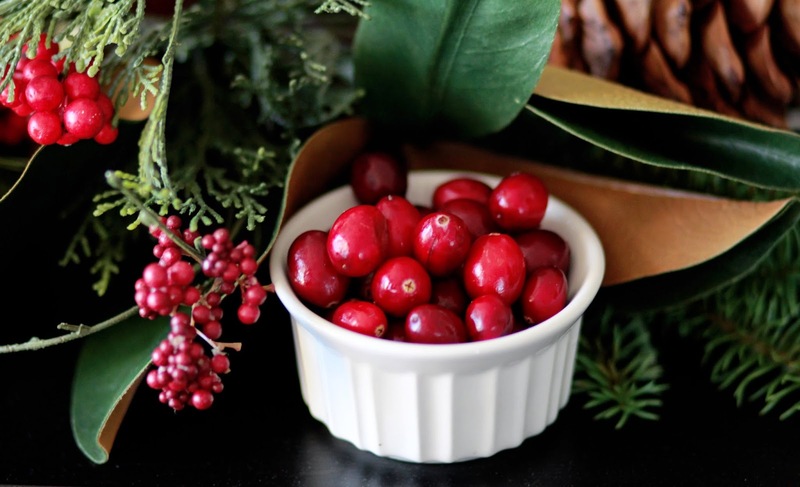 Also while the crust is baking, in a small bowl, combine the cranberry sauce and cornstarch and mix thoroughly. When the crust is done baking, remove from the oven and pour the cream cheese mixture evenly over the crust. Then spoon the cranberry mixture evenly over the cream cheese mixture, spreading gently with the back of a spoon so that it is evenly coated. 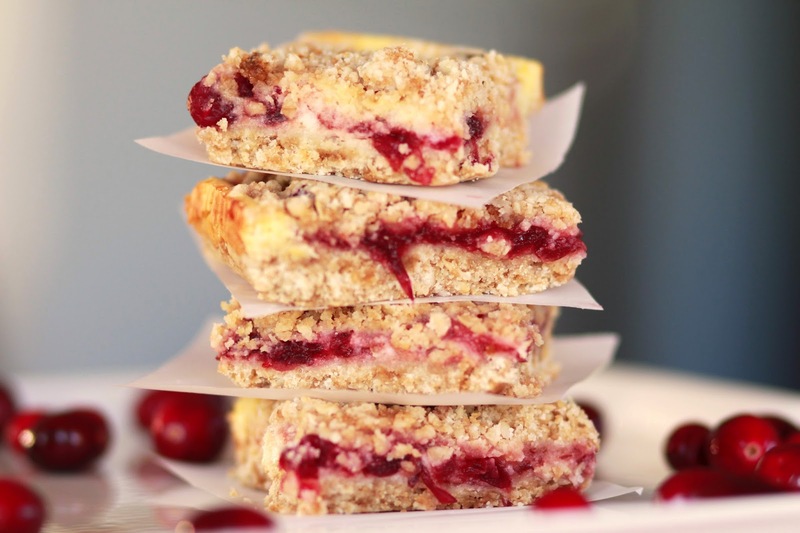 Then sprinkle the reserved oatmeal crumbs over the top of the cranberry mixture. Bake for 40 or until completely set and very lightly golden brown. Remove from the oven and allow to cool completely on a wire rack. Cover and refrigerate the baking dish for at least 3 hours so that the bars can firm up.